SOLD. 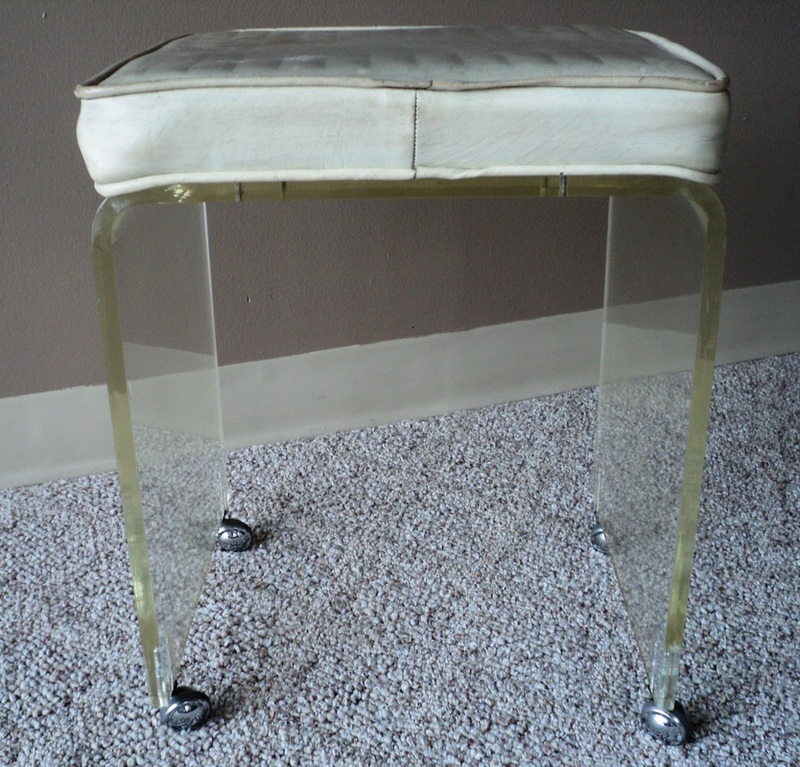 Vintage Waterfall Lucite Bench with Vinyl Upholstery. 1960s/USA-AKKO (Lawrence, MA). SOLD. 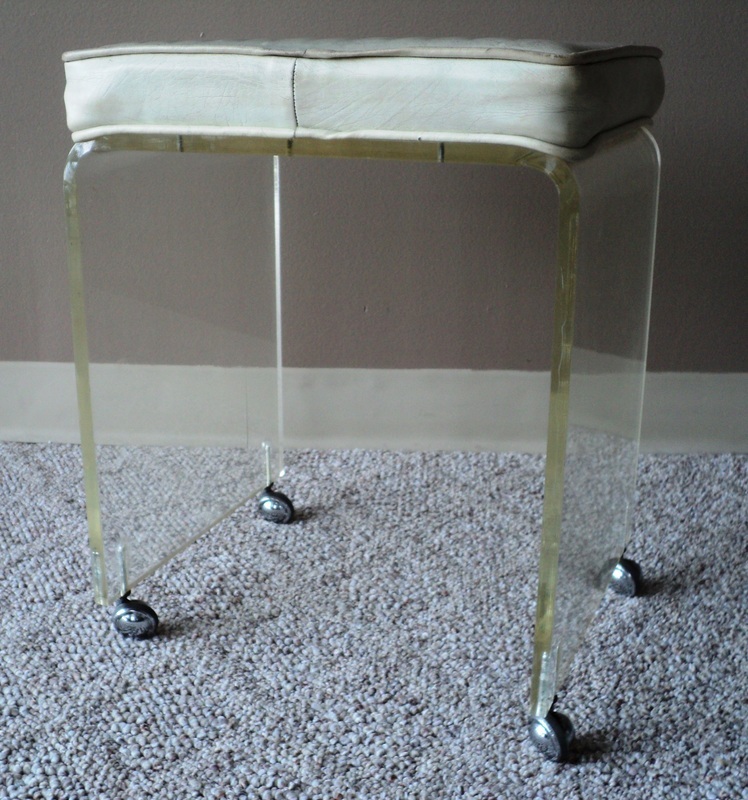 Lucite Structure. Original Vinyl Upholstery (Needs Reupholstering). 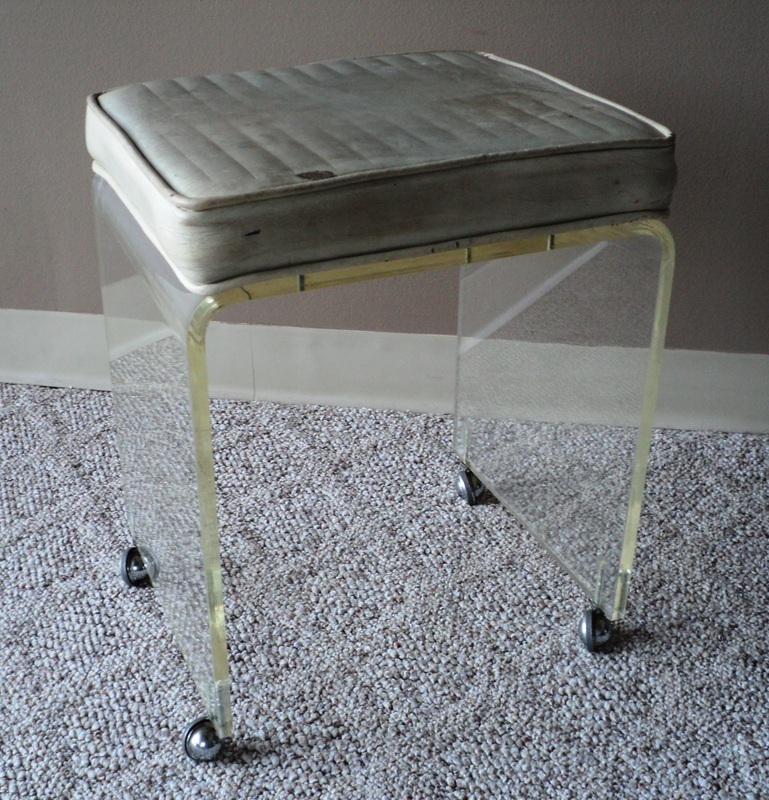 Original Chrome Plated Metal Castors by Shepherd. SOLD. All Original/As Found Vintage Condition (Needs Reupholstering). Scratches to Lucite Surface Consistent with Age, Material, & Use. Dimensions:16.25 x 18.25 x 12.25.